We watched each an every fashion show unveiled back in February in fascination and then we were so excited to discover so many stunning fall 2015 fashion trends, ranging from the romantic ’70s and masculine inspirations to sensual lace and reefer jackets. Of course, we want to embrace most of them this coming fall, however, this might make us go completely bankrupt. It’s here that our favorite high-street retailer Zara comes in handy, constantly inspiring us with its new releases at least two times a week. 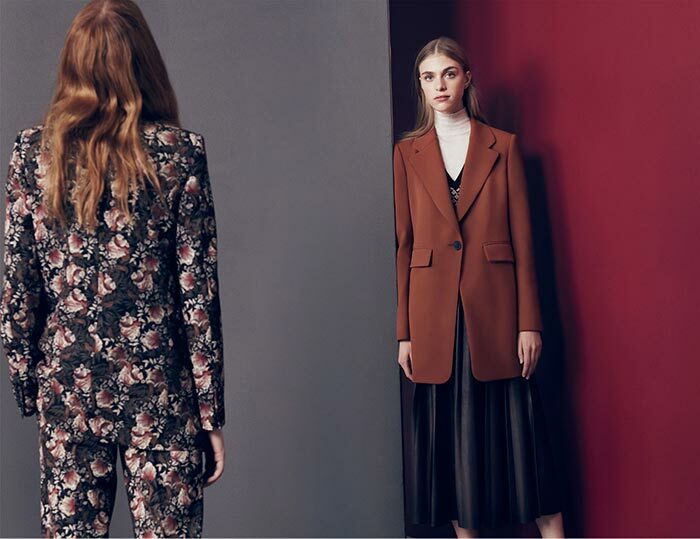 This time around, the Spanish giant decided to sum up the coolest trends spotted on the runways this year launching the Zara fall 2015 trend report catalogue that concentrates on the chicest tendencies of the season offering to-die-for essentials we want to get our hands on right away. From statement-making outerwear designs to impeccably tailored clothing pieces and matching accessories, Zara’s new collection has it all to turn you into the ultimate trendsetter for the season. Wondering which the biggest fall fashion trends are? Think boho and a big dose of it brought to life through the use of effortless chic maxi coats, eye-feasting floral patterns, bohemian silhouettes and matchy-matchy two-pieces! Sticking to a rather reserved color palette, Zara presents slouchy, yet perfectly tailored masculine style pantsuits in a grayish coloring, oversized checkered trousers, crisp white blouses, all mixed and matched and topped with an outstanding cape coat with golden buttons or a military piece in a black or navy shade. A simple sensual white crochet top or a backless maxi dress with long sleeves will provide the right amount of sophistication and femininity to your fall closet, ensuring you look absolutely divine on a romantic date night or at a family gathering. 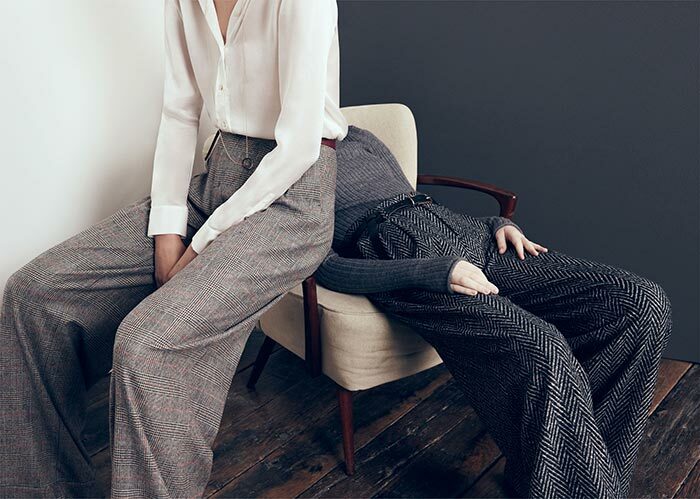 Retro is still hot this fall and when it’s delivered by Zara it can’t be any more perfect and fabulous. This section of the lookbook is dedicated to rich burgundies, rust shades and busy prints, but also oversized silhouettes, perfect layering, lots of pleats and flirty bows used for a number of pretty blouses that are feminine, but never overly girly. For the bold types of girls, there is a printed two-piece composed of masculine pants and a matching blazer that reminds us of the Gucci show. Skirts are mainly cut below the knees and are matched with chunky mannish shoes worn with burgundy socks, and when it comes to more accessorizing options try to be as reserved as possible putting the entire focus on the designs of the clothes and the pretty layering. If you are tired of all the Seventies, retro and bohemian fashions, go rock or gothic this fall, embracing the edgier and darker side of yours giving preference to blacks, leather, tweed and tomboy pieces, but also luxurious velvet, dark yet romantic lace and exclusive clothing combinations. From mini dresses to maxis to leather skinnies and simplistic tops, Zara’s fall 2015 collection has the coolest and trendiest pieces to help you give yourself a totally new makeover. Other hot runway trends spotted in this Zara catalogue include the pretty mod style with all its Sixties inspired simplistic silhouettes, rich suedes and a playful autumnal color palette, and masculine tailoring, which is all about cozy tweeds, flared pants and relaxed pieces, the iconic herringbone pattern and minimalist accessories. 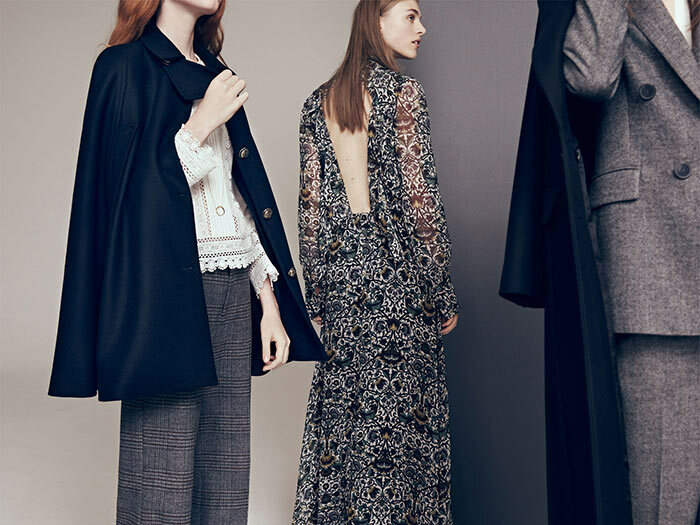 Whether you are a devoted fan of the minimalist and elegant style or are into pretty girly looks, you’re sure to have that strong desire to try each and every of Zara’s fall 2015 trends illustrated in this catalogue this fall, especially when these high-street favorites are so affordable while also being absolutely cool and one-of-a-kind!